Stalking is a term that legally translates to criminal harassment in the Canadian Criminal Code. It is a term that has been romanticized in novels and romantic-comedy movies and normalized in everyday romantic interactions, predominantly between men and women. In Canada, 76% of victims of stalking are women, and 58% of these women are stalked by former partners. LegalEase’s Emma Noradounkian sat down with Julie Lalonde. Julie is a women’s rights activist, the manager of Draw the Line, a campaign that encourages bystanders to intervene in instances of sexual violence, and the founder of the Ottawa chapter of Hollaback!, a movement dedicated to ending street harassment. She is also a victim of stalking. Julie shared her story with her decade-long stalker and she shed some light on the many barriers imposed by the Canadian criminal law on victims of stalking. She also shared her thoughts on Canada’s new federal strategy that aims to reduce gender-based cyber-harassment. A consultation process for this strategy is expected by early 2017. Welcome to LegalEase with your hosts Lillian Boctor and Alice Mirlesse for this December 2015 edition of Legalease. LegalEase is a monthly show put together by a collective of law students and recently graduated law students at McGill that explores the law and its institutions with a critical lens and at the same time makes the jargon of the law more accessible. Legalease is a monthly show on Montreal’s CKUT 90.3FM put together by a collective of law students. It is a broadcast about the law, cast broadly, looking at the law with a critical lens and featuring voices of people most affected by the law and those organizing against injustice. In this month’s Legalease, we interview Meena Jaganath, attorney at the Community Justice Project in Miami, about the legal support happening in Ferguson leading up to and after the non-indictment of Darren Wilson, the police officer who killed Michael Brown; the delegation of CJP, Dream Defenders, Michael Brown’s parents, We Charge Genocide and other groups to the UN Committee Against Torture; about the growing #blacklivesmatter movement; and the role of community lawyering in the movement. We hear from Claire Abraham, community organizer at Project Genesis in Cote-des-Neiges, Montreal about the organizing that they are doing in collaboration with housing organizations around the ridiculously long 21-month waiting time for tenants to get their complaint about housing conditions heard at the Rental Board. A Mexican student at McGill University tells us about the Montreal Mexican community’s demand to take Mexico off the safe-country list in Canada, in light of the pandemic of violence and impunity in Mexico. Welcome et bienvenue to LegalEase: a monthly Montreal-based and produced radio show on 90.3 FM CKUT – a broadcast about law, cast broadly. Le collectif LegalEase est un groupe d’étudiants et étudiantes en droit de la communauté montréalaise. 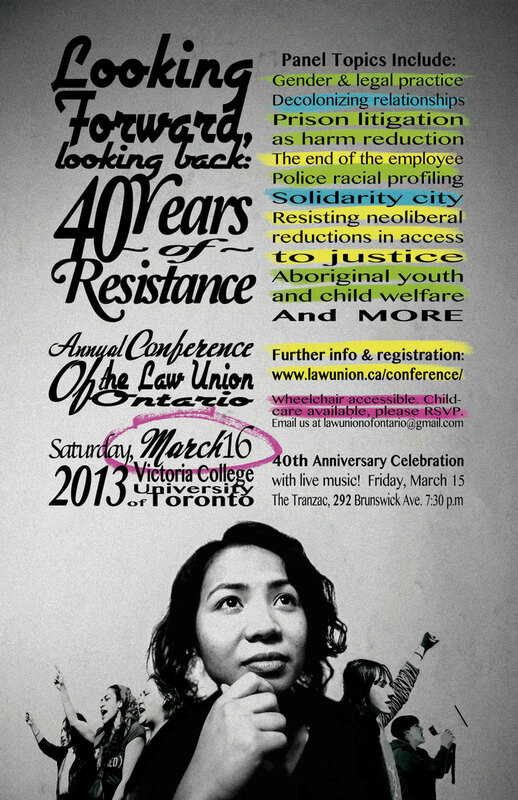 This month the program is entitled, Abortion, MMIW, Land Defenders. Listen to the Episode here. Professors Shivaun Quinlivan and Susan Cahill shared their lived experiences and insights on the Eighth Amendment of the Irish Constitution. This Amendment equates the right to life of a pregnant woman with that of a foetus and criminalizes abortion in all cases except where continuing a pregnancy would result in death. Last week, hundreds walked in honour and solidarity of Missing and Murdered Indigenous Women (MMIW) at the 11th annual Missing Justice March in Montreal. Hear from Mohawk artist and activist Ellen Gabriel, who cast doubts over the effectiveness of the current national inquiry on MMIW and Stacey Gomez of the Centre for Gender Advocacy, who shared ways to get involved in raising awareness for MMIW. And finally, Anishinaabe land defenders Vanessa and Lindsay Gray spoke in Montreal last month. Vanessa is facing a 25-year prison sentence for allegedly sabotaging Enbridge’s Line 9 pipeline. We’ll play parts of their talk, in which they discuss environmental racism, organizing in the Chemical Valley, and the importance of defending land defenders. LegalEase on 90.3 FM is a radio program broadcast every second Friday of the month at 11am EST from Montreal, Quebec. Originally founded by the McGill Legal Information Clinic in 1989, LegalEase is now run by a collective of progressive law students from McGill University. Our weekly radio show deals with legal topics of interest to the community, with the intention of making the law both accessible and engaging. Tune into our show, follow us on Twitter @LegalEaseCkut, email legalease[at]ckut.ca or check our podcast library for past programming. This month’s edition of LegalEase was produced by Alice Mirlesse, Gwendolyn Muir, and Emma Noradounkian.